Elle 18 Glow Compact comes in round cute compact case with mirror and inside a thin powder applicator provided with the package. I am in love with this cute packaging. You no need to carry separate mirror and all, just carry this compact case and do touch up easily where ever you want. All in one packaging which is travel friendly and user friendly. 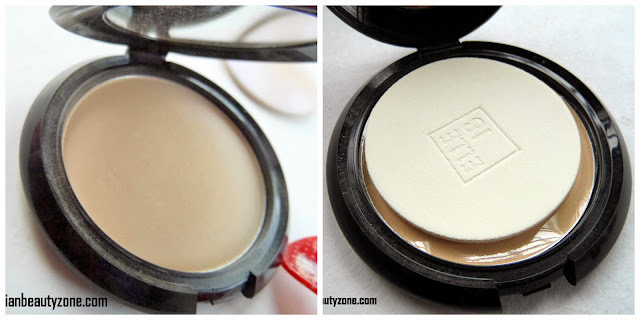 Elle 18 Glow Compact powder has fine texture and smells half same like the foundation of this range. 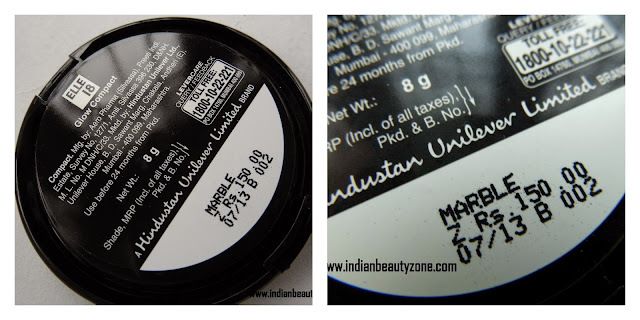 The shade is marble which is very suitable for wheatish to fair skin tone, also for medium skin tones too. I love this compact powder and it is best for daily use same like the glow foundation. The fine texture of this compact powder spreads evenly on the skin without giving any cakey look. This powder gives a natural finish look for the face and controls oil for some time. But, not for long time. This compact powder stays up to 2- 3 hours with good makeup base on my oily skin. This compact powder has fine texture easily spreads on the skin. It gives a natural look. The package has mirror and powder sponge provided. Not a product for those who wants to control their oiliness for long hours.